GWA provides quality management consulting, organizational and professional development services and products to help clients meet their performance goals and achieve lasting results. Since 1986 GWA has helped over 50,000 individuals in corporate, government and non-profit organizations improve their performance and achieve their organizational goals. Our competitively priced consulting services are designed to meet our clients' varied performance needs. GWA is an authorized distributor of Wiley Publishing assessment profiles including DiSC and the Spice of Life Diversity card tool and related products. Volume discounts are available. GWA has strong areas of knowledge, experience and competency in a number of areas including: business, diversity, education, health, human resources, economic development, non profit capacity building, social services, and transportation. GWA is an experienced award-winning certified WBE/MBE business. 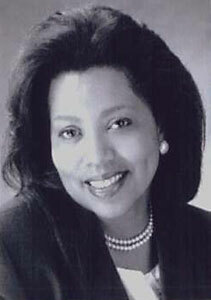 Dr. Devona Williams, President/CEO and leads or is involved with all consulting projects along with an experienced team of associates. Quality. We perform all work with the highest degree of quality. Integrity. We operate with integrity and high standards and ethics. Collaboration. We collaborate with our clients and facilitate opportunities for collaboration between them. Community impact. We are committed to producing work that benefits the community and making positive contributions with our resources. Client confidentiality. We maintain strict confidentiality of our clients. Thank you so much for the great session yesterday. The feedback from the team was excellent. It's ironic because in my background, such sessions such as this have been referred to as "training" but the discussion with the team indicated that it was more of a team building exercise than anything. That was refreshing to have that perspective as a takeaway. I'm very glad we got to work with you and I could foresee opportunities to work together again in the future. I found the book to be very insightful, filled with practical guidance on what it takes to build a successful consulting business that will survive in today’s economic environment. Those who are just starting a business as well as those who have been in business for many years can use the marketing principles outlined in the book to grow their business. I will definitely use this book as a key reference for my coaching practice clients. 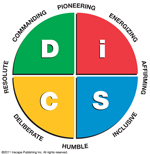 Order DISC, Diversity, Leadership, Team building and other paper or online profiles and assessments. Online profiles are easier, faster, and provide more information!